Designed to stand out. 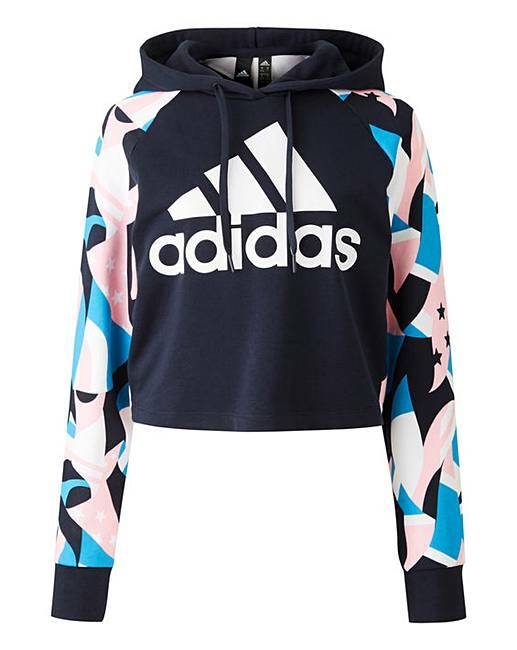 This adidas AOP cropped hoodie features a bold print on the sleeves and back and a big adidas Badge of Sport on the front. It's made of midweight French terry that keeps you comfortable on a cool evening or in a drafty yoga studio. This sweatshirt has a cropped length designed to hit at the belly button and a soft to the touch French terry construction.